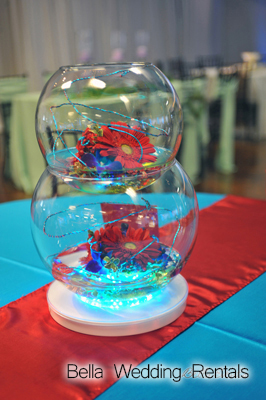 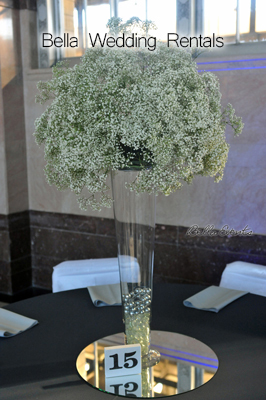 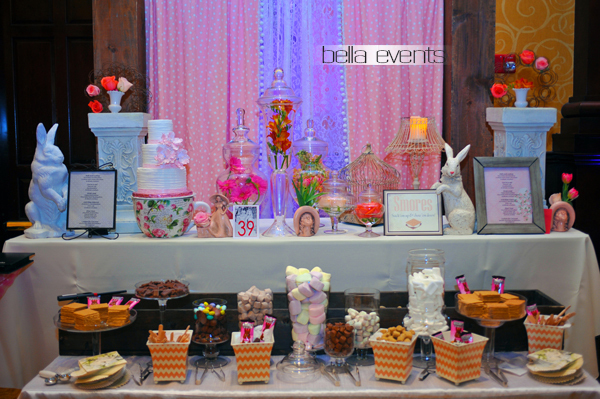 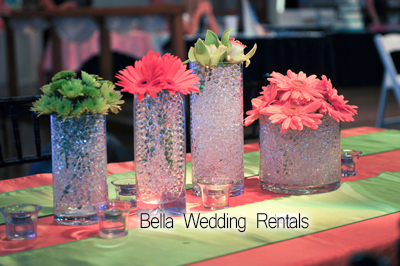 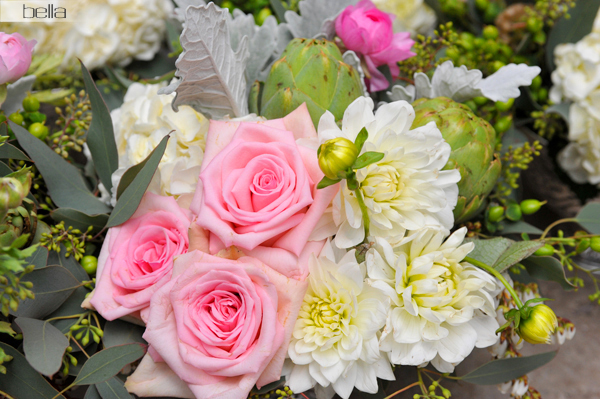 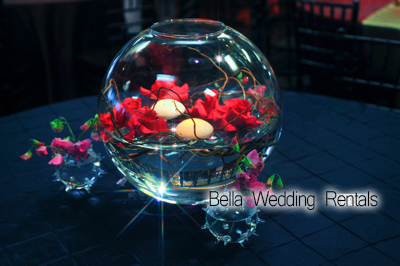 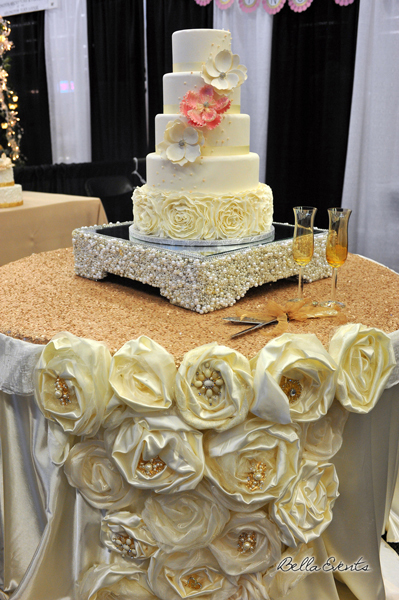 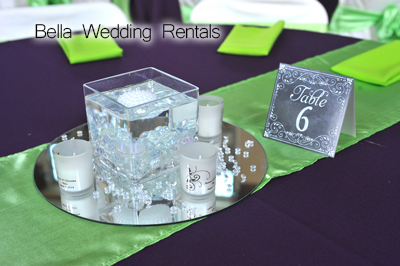 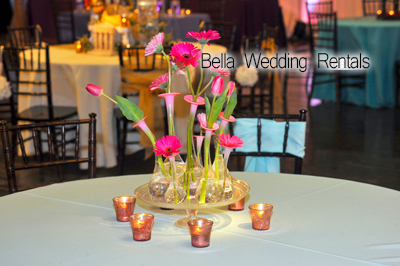 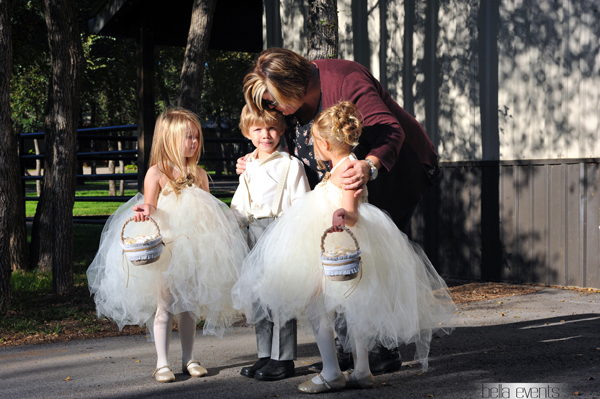 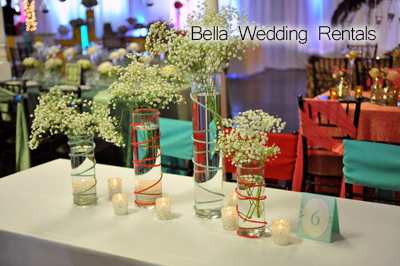 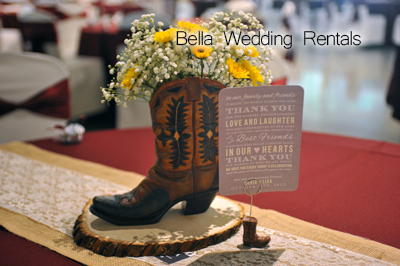 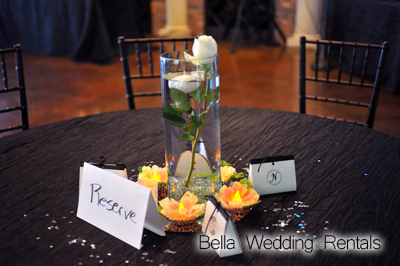 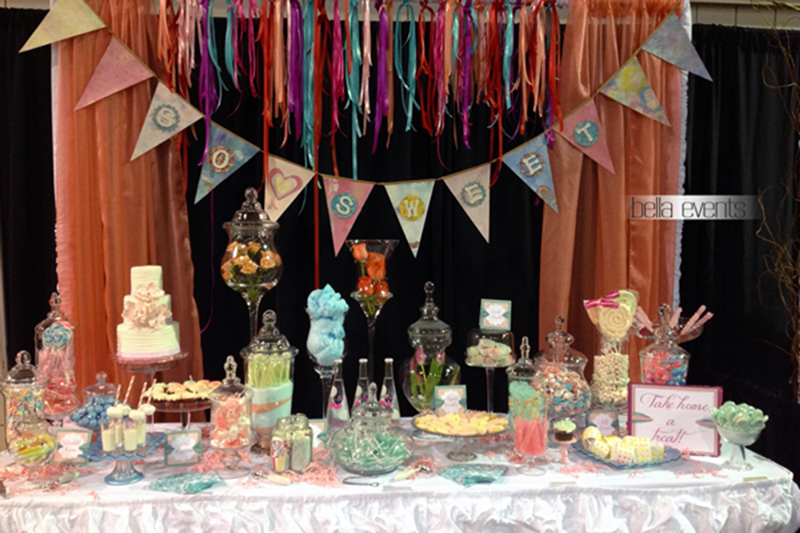 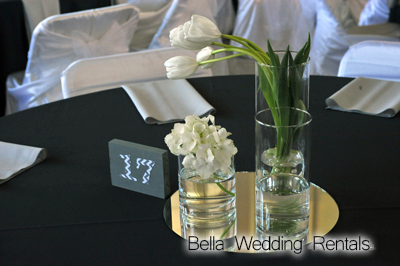 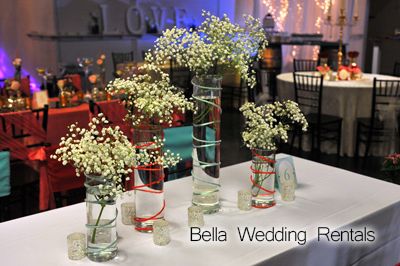 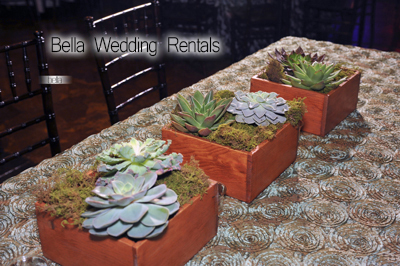 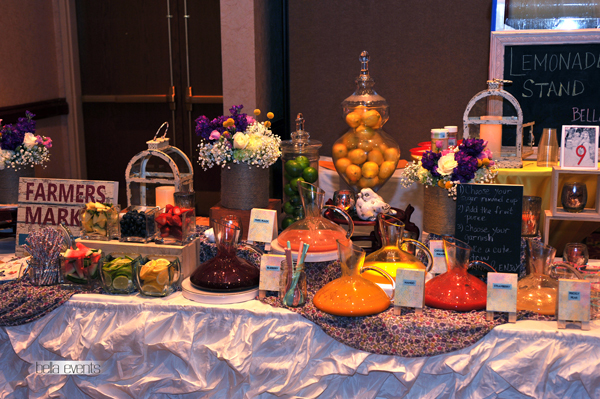 The centerpieces pictured below have been designed by our brides. 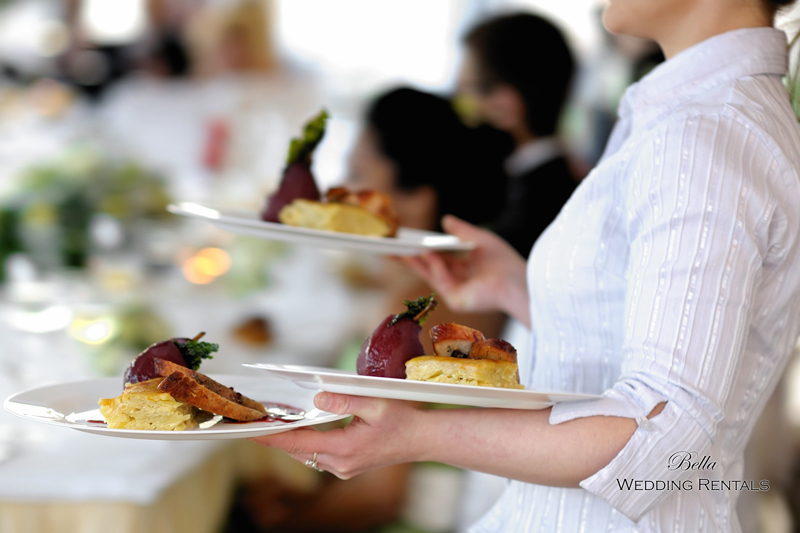 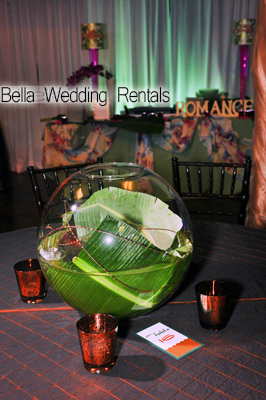 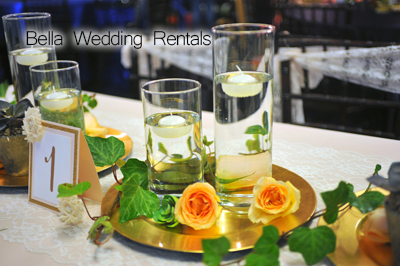 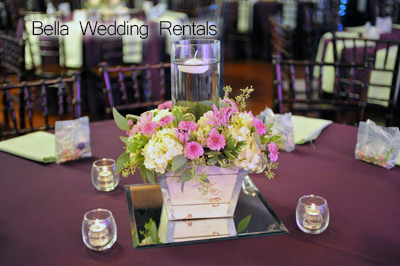 The brides used our rental service as a source for the vessels and in most cases, we provided the floral and centerpiece treatments. 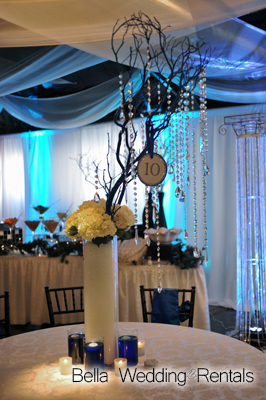 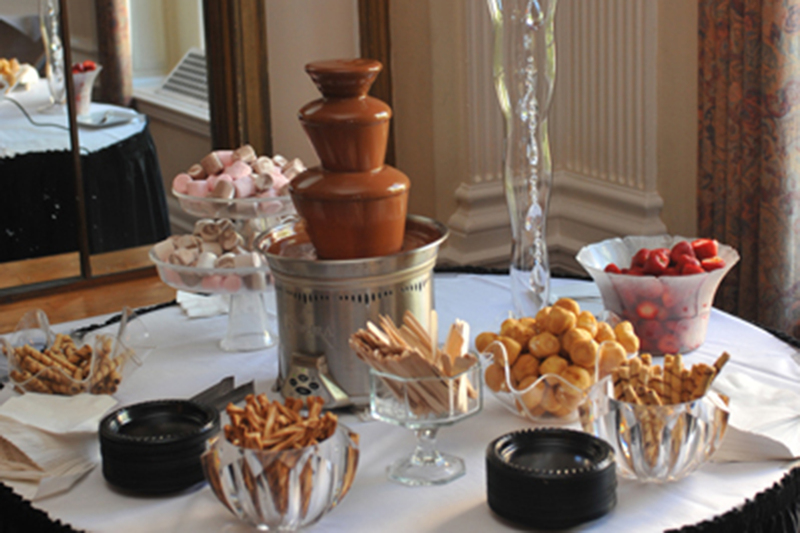 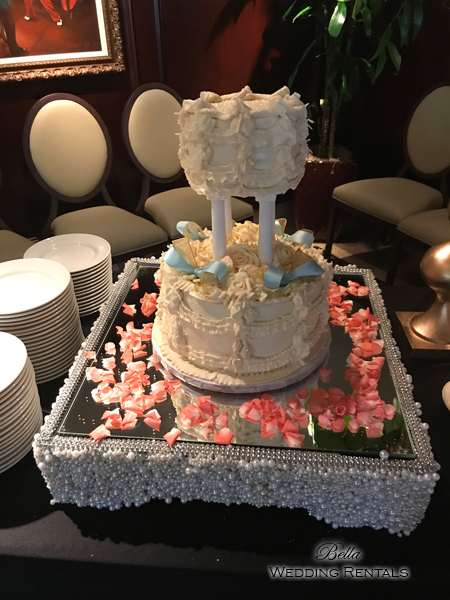 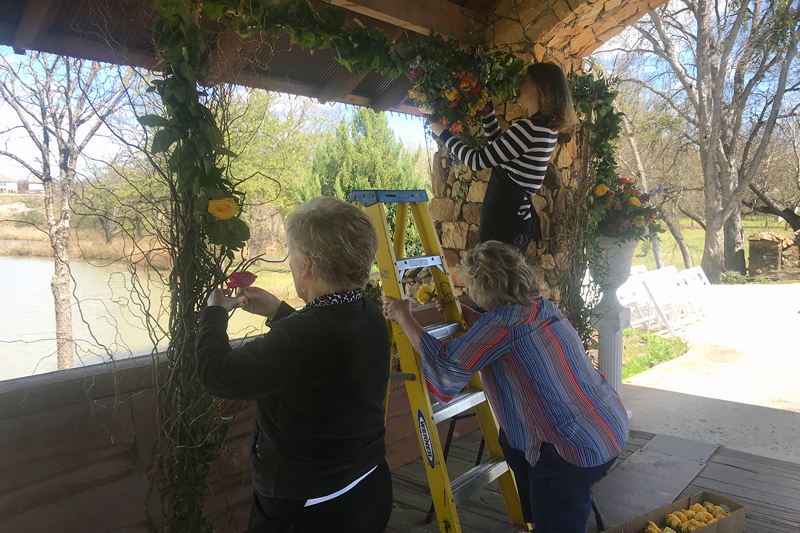 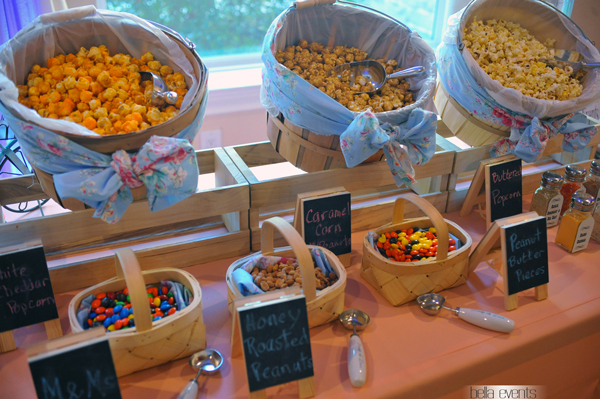 Once the linens were set out on the guest tables, our staff set out the centerpiece vessels and completed the decorating. 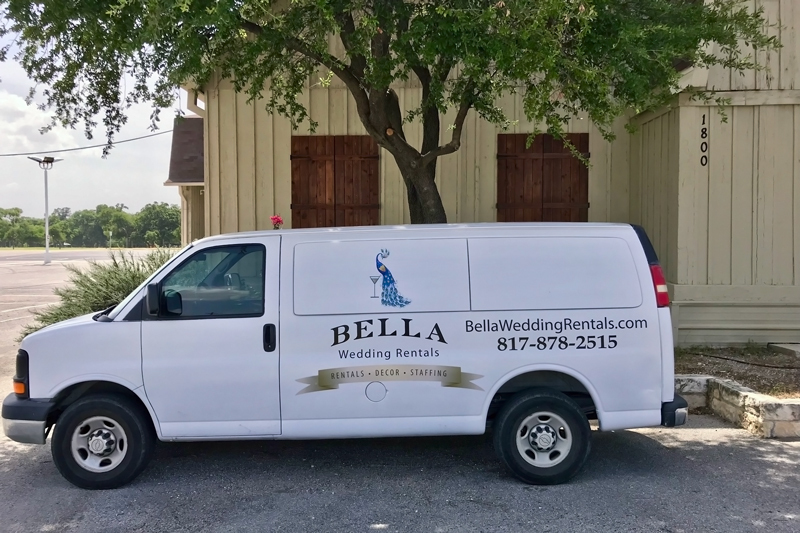 Using our rental & design service can save hours of work and eliminate the running around from craft store to craft store, searching for what you need. 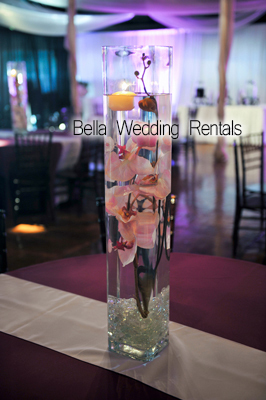 Renting a centerpiece will normally cost less than buying one. 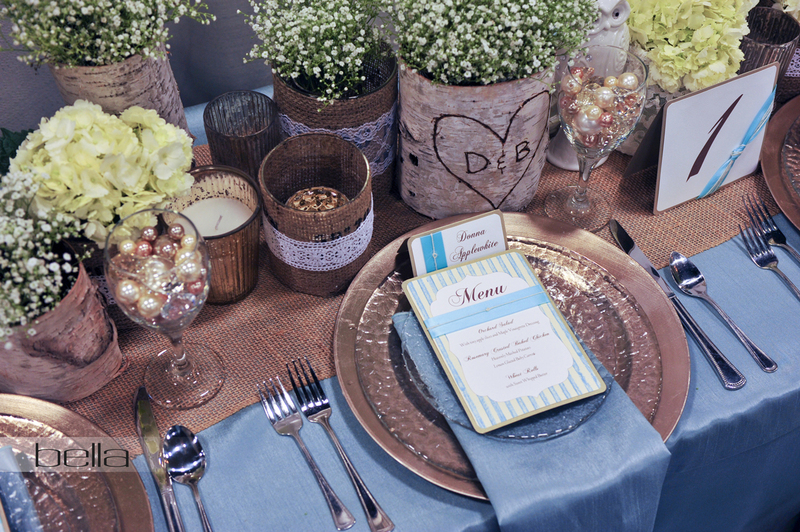 It's important to make sure your centerpieces match your overall theme. 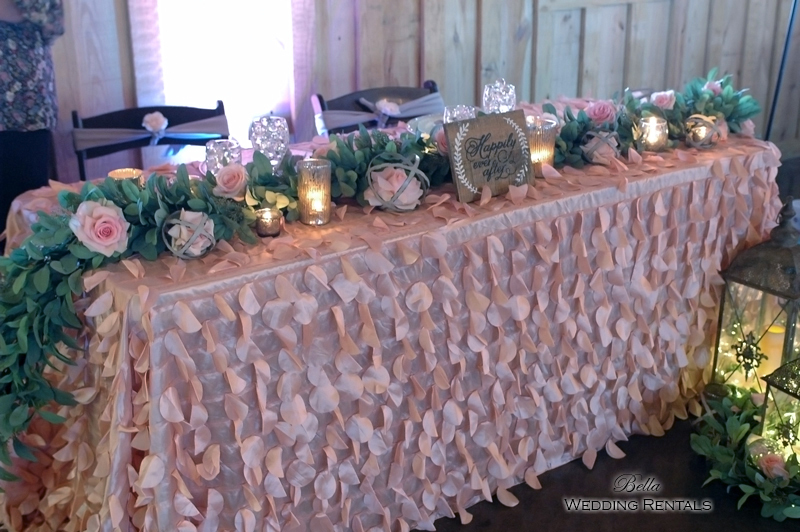 For example, if you are considering a Spring Rustic Chic theme, use pastels like pink, peach, light beige, light blue and other romantic combinations. 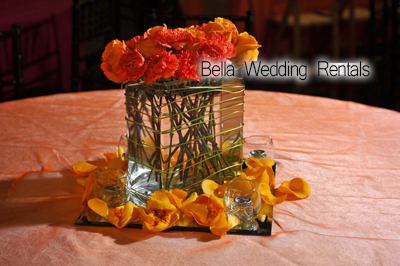 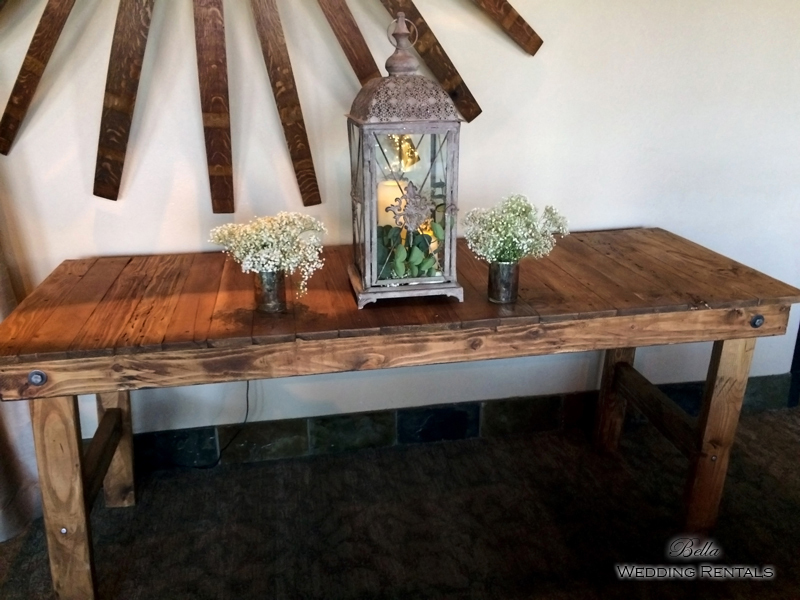 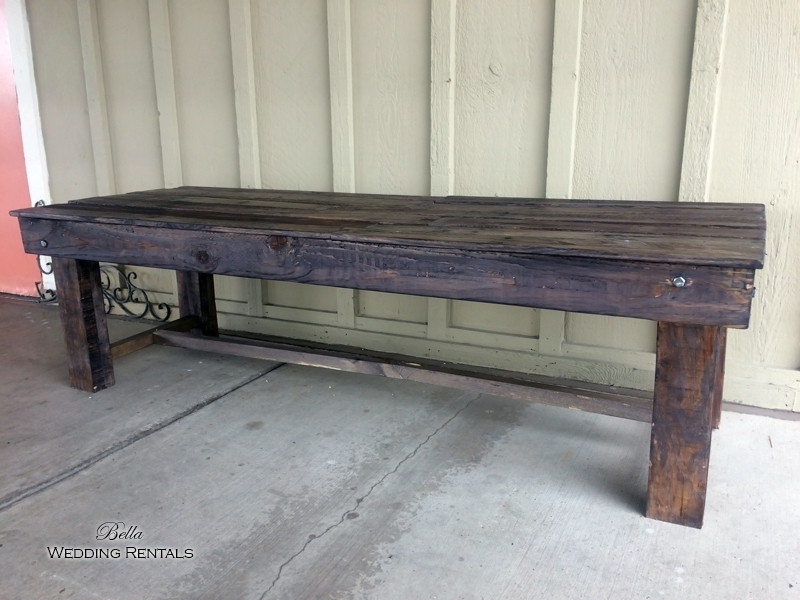 Place two or three designs throughout your reception tables for a visually dynamic space that’s still consistent. 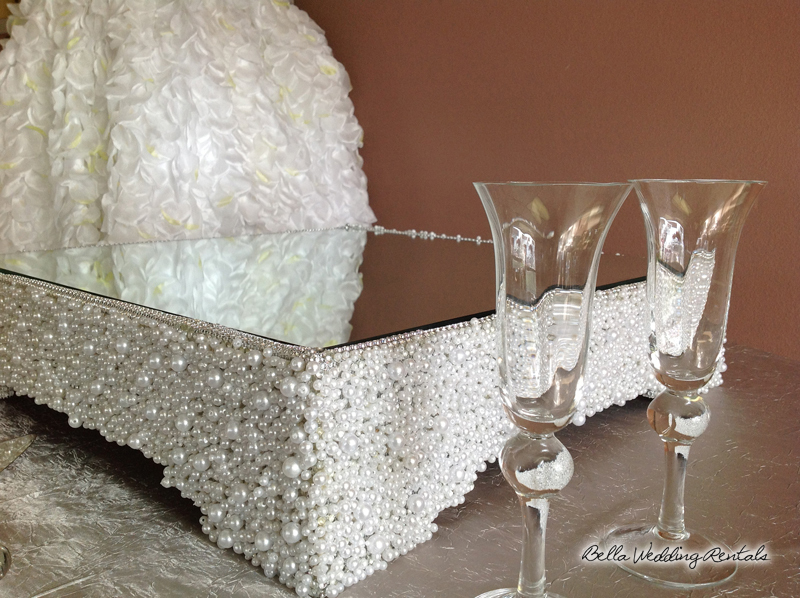 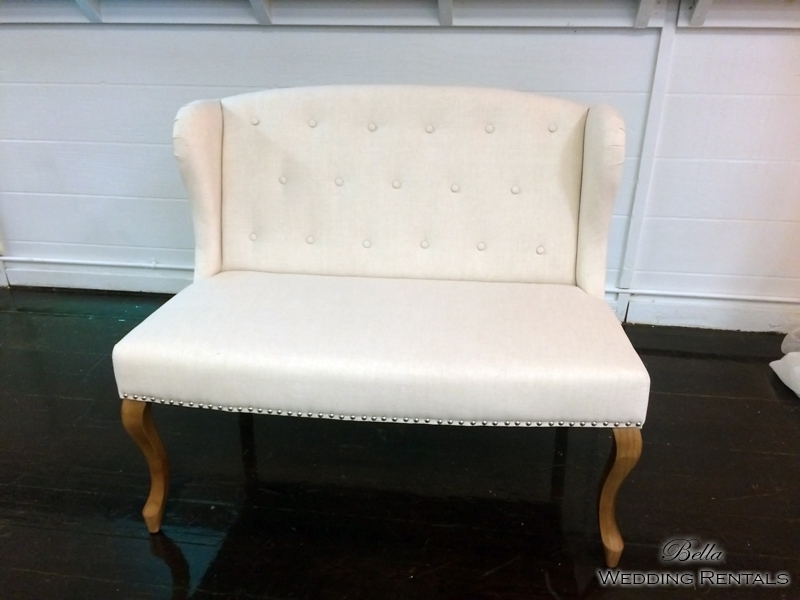 This will create lots of visual texture throughout the room. 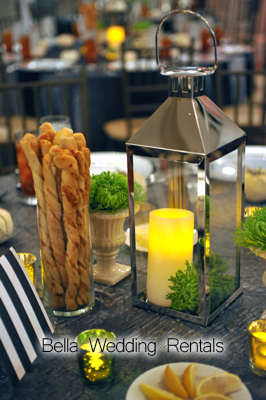 Using one centerpiece style for each table may be consistent, but it's not as exciting. 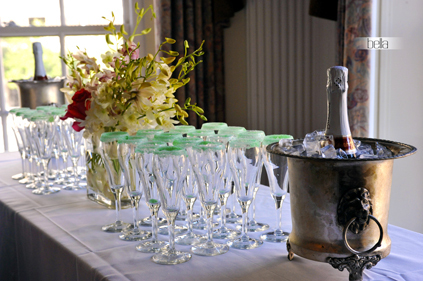 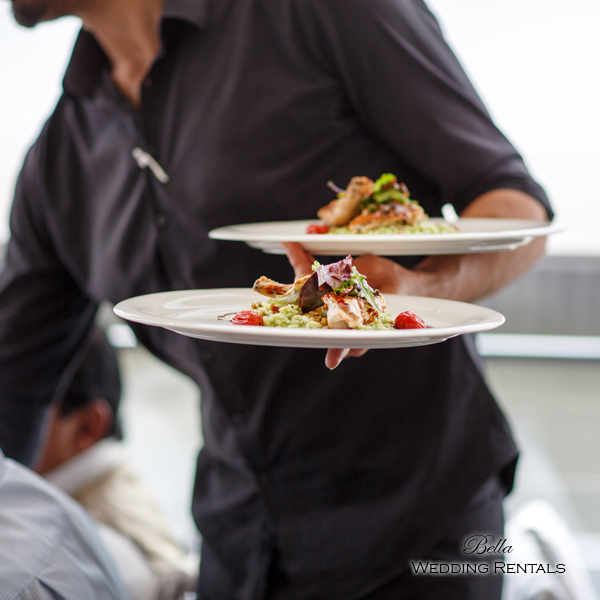 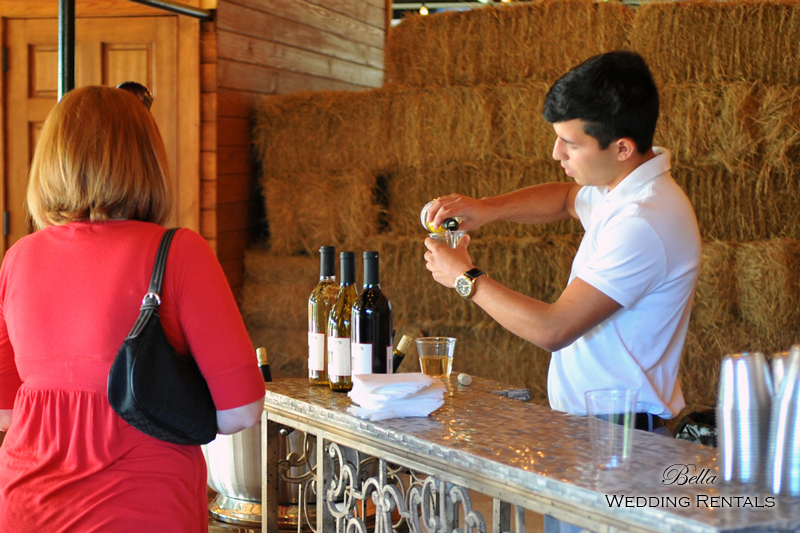 Make sure your guests will be able to see each other no matter where they’re seated at the table. 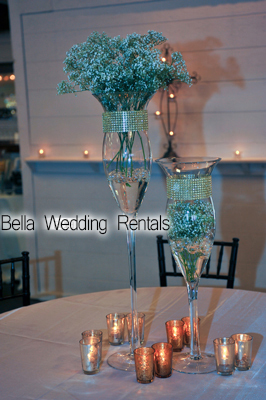 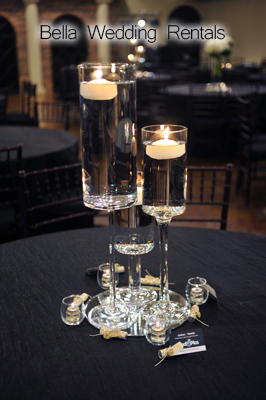 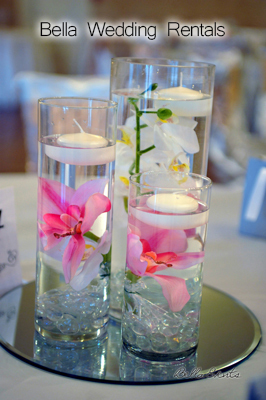 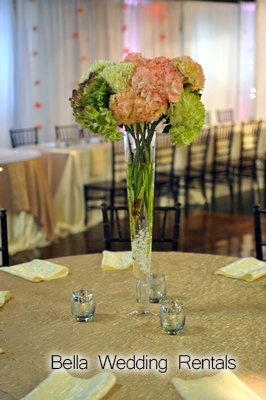 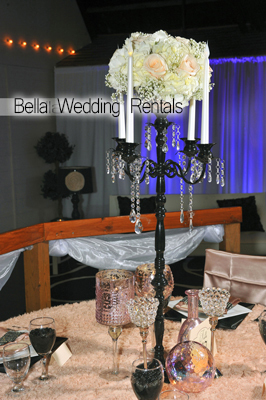 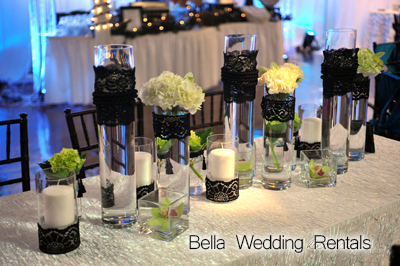 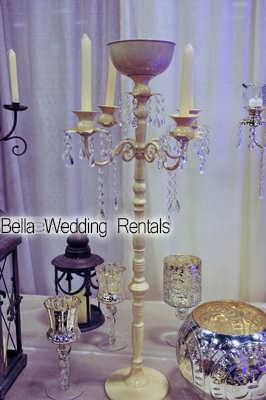 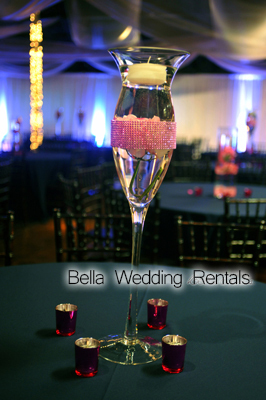 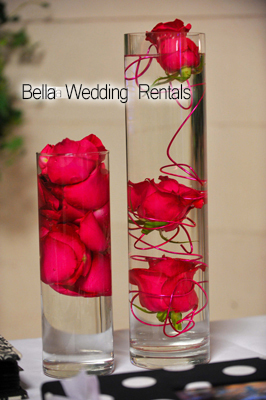 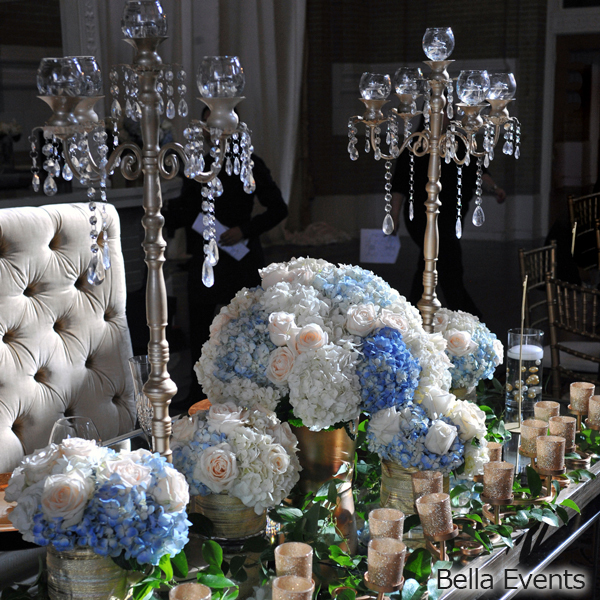 Use either low centerpieces, tall tapers, candelabras, topiaries or tall clear vases. 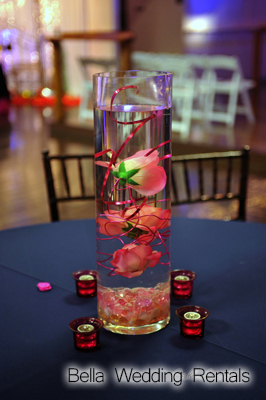 The vessels are as important as the blooms that fill them. 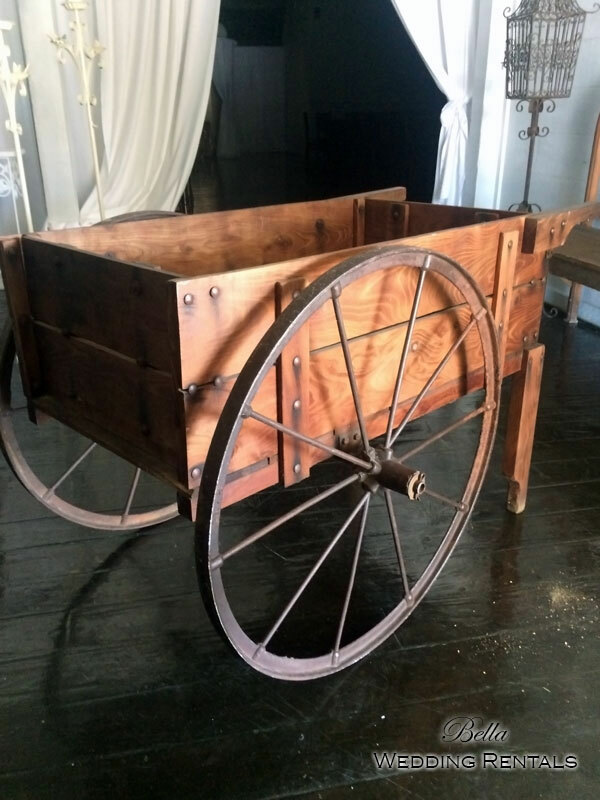 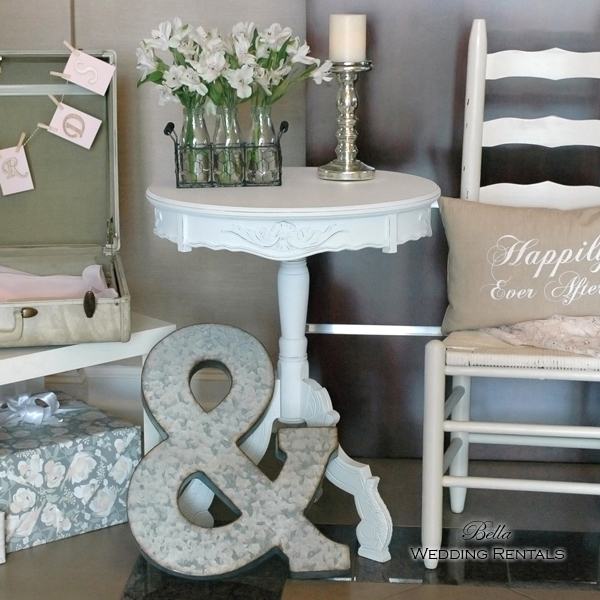 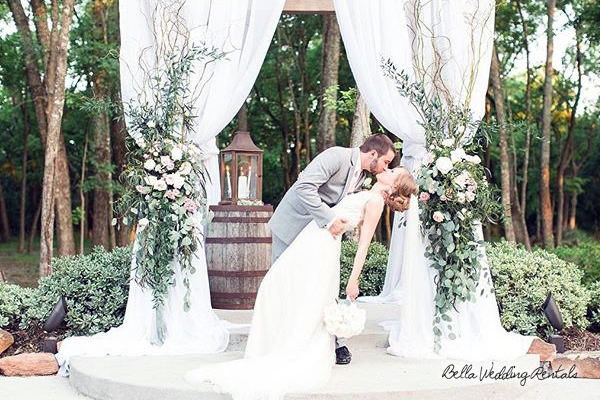 If you’re having a vintage wedding, go for antiqued decor. 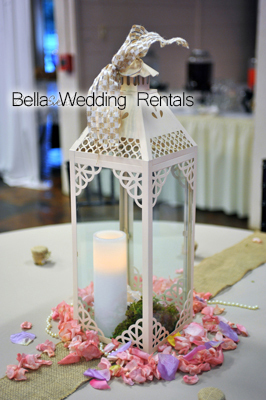 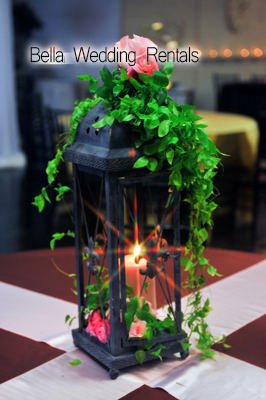 If your having a beach or outdoor wedding, keep your centerpieces light and airy. 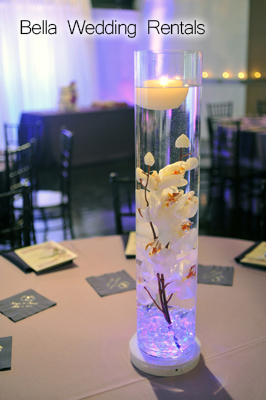 It's inevitable that guests will bump into reception tables after the party gets rolling, so make sure your centerpieces are sturdy, especially if they're taller.